A different kind of episode! Congratulations to Dave Gibbons, comic book artist extraordinaire and co-creator of Watchmen with Alan Moore, for being elected to the Will Eisner Hall of Fame at San Diego Comic-Con on July 20, 2018. 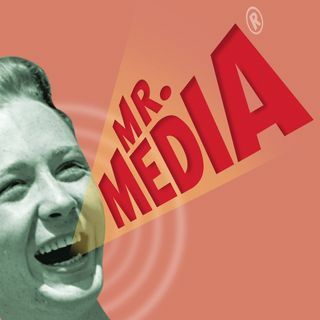 Dave was on Mr. Media in January 2009 -- it's #556. You might enjoy this audiobook excerpt from my 2005 bio, "Will Eisner: A Spirited Life," for which I interviewed Gibbons and Alan Moore about their experiences with Will Eisner in creating new stories ... Maggiori informazioni for Eisner's The Spirit.